"The Chuparosa Bed & Breakfast"
Located 40 miles SouthEast of Tucson, Arizona. 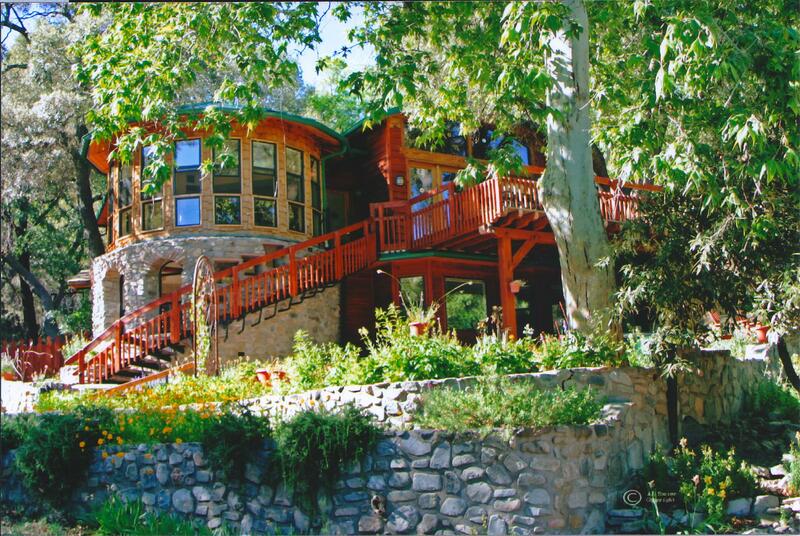 Nestled in the heart of Madera Canyon. 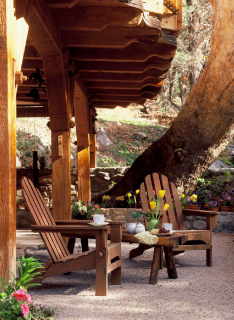 A stay in Madera Canyon is ideal for those seeking a peaceful retreat in the Santa Rita Mountains. The Inn offers a wonderful environment for couples with a romantic heart, nature lovers, hiking and biking enthusiasts, or anyone who enjoys meeting others in a relaxed atmosphere. Outstanding scenic beauty, diverse plant life, and recreation opportunities for all nature lovers. A spring fed stream and high canyon walls provide Madera Canyon with a moist, cool, and shady environment unusual in the desert Southwest. Water loving plants such as sycamores and cottonwoods line the banks of Madera Creek. The lush riparian environment provides the perfect habitat for over 200 species of birds. 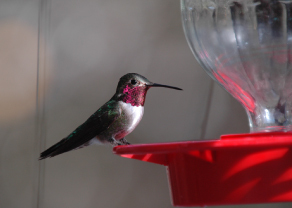 Commonly seen are five to seven species of hummingbirds including the Broad-billed, Magnificent, Black-chinned, Anna's, Blue-throated, and Broad-tailed. Mexican Jays, Acorn Woodpeckers and Nuthatches are easy to spot. 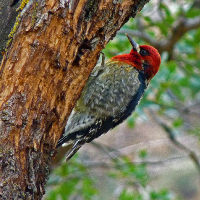 Rarer species including the Elegant Trogon, Arizona Woodpecker, and Yellow-eyed Junco appear at the Inn to draw birders from all over the world. Hiking opportunities range from an easy walk, an invigorating 5 mile round trip hike to Josephine Saddle, or for the adventurous and fit hiker, a 10.8 mile round trip hike to Mt. Wrightson at an elevation of 9453 ft. We will be happy to suggest a hike that will meet your needs.